The classic formal portrait lighting is one main light high and wide (meaning up to about 45 degrees higher, and up to about 45 degrees to the side) of the subjects face. Should be a close large light to be soft (umbrella or softbox). The fill light is about 1 EV less bright (lighting ratio on the subject), and frontal, meaning as near the lens axis as possible (to fill the exact shadows that the lens sees without making another set of shadows). One flash on the hot shoe can do that. Larger lights (umbrellas) are of course softer, but soft is not an issue for a flat frontal light that does not make shadows (on the face... if near the lens axis, then any shadow behind should be hidden behind the subject). The third light can be behind subject on the background, or can be a hair light. Rather than using a YN622N-TX, you can use a YN-622N II. You give up the LCD screen that makes it easier to see what your settings are, but you gain a hot shoe on top of the YN-622N II to which you can attach a YN685N. At the time of writing this update (August 2016) the YongNuo YN685 N flash provides an “Extended Display Mode”, when used with the YN-622N II as transmitter. The YN685 N do not directly provide any radio master functions. Though when mounted on top of a YN-622N II transmitter, the YN685 N can be set to Extended Display mode, where the flash then provides a more convenient control panel and LCD display for the YN-622N II transmitter. 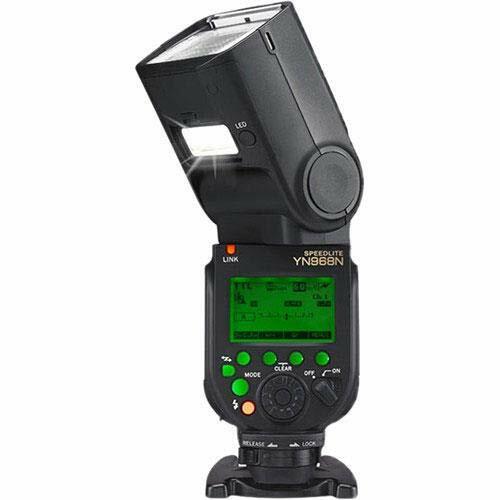 You could also upgrade the on-camera flash to a YN968N, which does provide direct radio control of multiple off-camera Yongnuo 622 flashes and receivers, including the YN685N, from the control panel of the YN968N. This would eliminate the need for a separate radio transmitter altogether. If you're going to be shooting weddings with Yongnuo flashes, it's always a good idea to have a spare available. So you need another flash anyway. 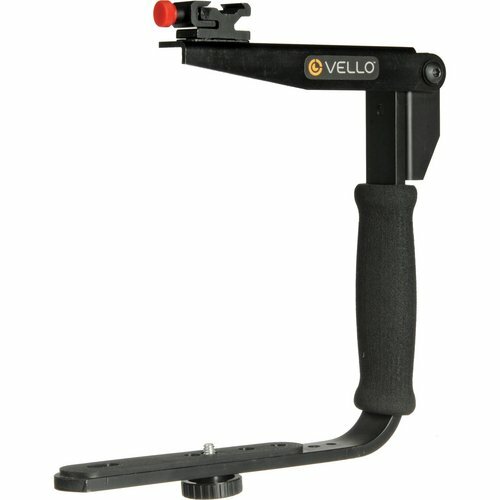 Based on the comments you made to another answer, you could also use a flash bracket attached to your camera to mount the third YN685N and control it wirelessly from the YN622N-TX. 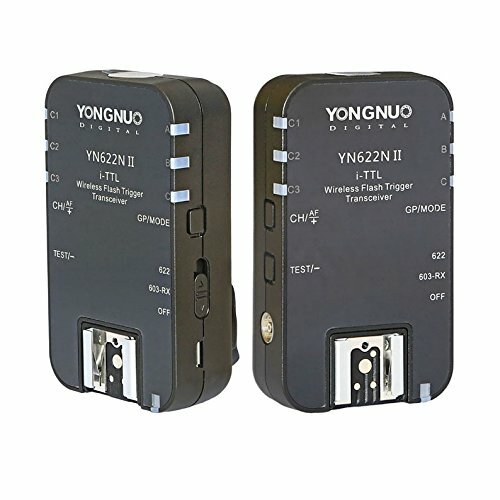 Be sure you have the latest versions of the YN685N and YN622N-TX, as I seem to recall that there were issues with some Yongnuo flashes being too close to Yongnuo transmitters at one time. 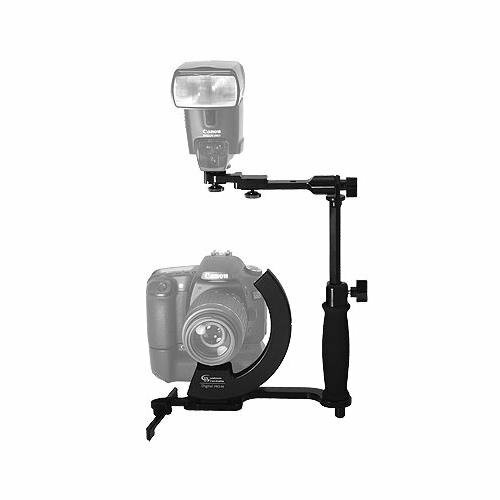 If you haven't yet purchased the Yongnuo transmitter/speedlights, and are simply trying to visualize how to get this kind of three light setup to work, I'd say the answer is not to get Yongnuo gear, but to look at the Godox system. In this system the TTL speedlights, the TT685 and V860II both have built-in radio transceivers. If you buy three of them, one can be used on-camera as both a speedlight and as the radio transmitter to the other two as off-camera radio slaves, without the need to purchase any additional triggers. There are two additional advantages you'd have with the Godox gear. The first is that the TT685/V860II can do cross-brand TTL as radio slaves. That is, if you have a camera-system appropriate Godox transmitter, you could fire a TT685-N/V860II-N (the Nikon versions) in TTL/HSS/with remote power control from a Canon, Sony, Fuji, µ4/3, or Pentax camera. So, if you switch systems, add mirrorless, or need to share lights with a non-Nikon shooter, all you have to purchase is the correct on-camera transmitter unit. Secondly, the Godox system also includes a lot more options aside from just speedlights: Godox's bare bulb flashes and studio strobes also use the same triggering system, so the expansion options are much better than with Yongnuo, where TTL/HSS support is only for Canon or Nikon, but none of the gear supports both. And there are really only speedlights in the system. If you already have the Yongnuo gear and aren't willing to swap it out for a Godox setup, then using a YN-622 transceiver sandwiched between the speedlight and the camera hotshoe to act as your on-camera transmitter unit would work, as would getting the YN-968N, which has a built in YN-622 transceiver. Not the answer you're looking for? Browse other questions tagged yongnuo or ask your own question.